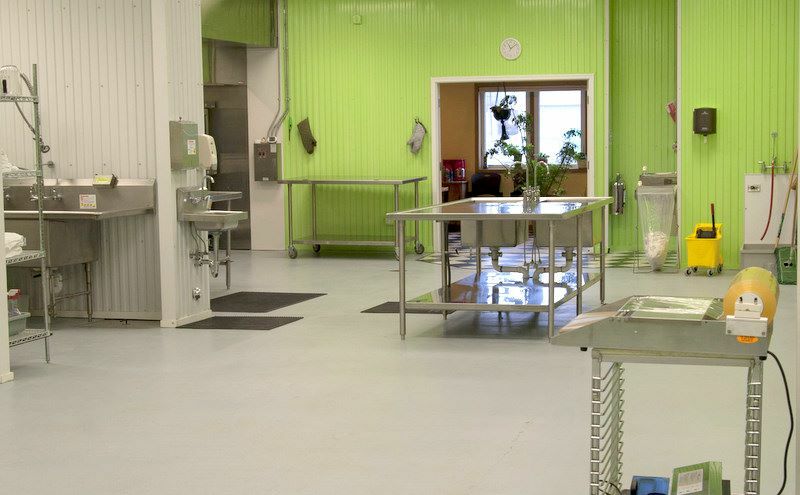 Are you looking for a licensed kitchen to produce your food product to be sold to the public? Farmers markets, grocery stores, flea markets. At Facility Kitchens, we help you increase your production volume, which is an important step in your business success. Higher production means higher profitability! Graduation Parties, Wedding Showers, Baby Showers, Cooking Clubs...and so much more! No need for a license, insurance and food safety certification to use Facility Kitchens to cook for fun, not for resale. Just contact us for more information! And leave with a business! 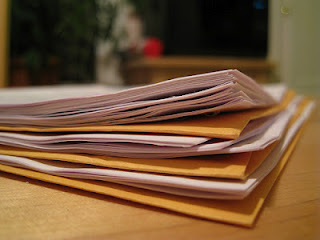 With the client packet we will provide, you will have all the necessary paperwork to start your food business. 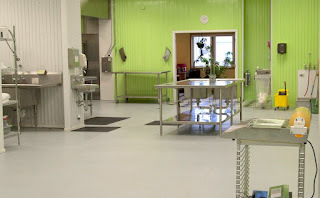 Facility Kitchens located behind Bieri auto shop on Ottawa Street now offers the rental of a fully equipped kitchen, for commercial purposes, to local entrepreneurs just in time for the upcoming produce season. Facility Kitchens is a 2,800 square feet facility with commercial kitchen equipment, available for rent by the hour. Owner Janet Tlapek bought the concept of a shared use kitchen to Lowell from Chicago. A commercial rental kitchen builds on synergy of all producers by sharing time, space and equipment. When one producer leaves the kitchen, it is expected to be clean enough so the next producer only has to sanitize it. “We must mind our times and spaces to prevent losses to other producers,” she said. The facility accommodates both social and professional users. The procedures for social production are simpler and there is a staff member on site to monitor the equipment use. There are several zones available for renting, the main zone, the center preparation and packaging. The building has a loading and receiving area in the back and a storage area, both refrigerated and non-refrigerated. A clipboard with paperwork tracks the times, zones, equipment used, and items purchased. If the product made in the Facility Kitchens is for resale, users must have Department of Agriculture licenses. Currently, there are four licensees using the kitchen on regular basis. They are the French Baker with authentic cakes, pastries, tarts and breads; GrandRaWpids Raw Chef and Consultant organic foods; Kissing Rock Kitchens and Seasoned with Love, offering cheese balls, dip mixes, chip dips and party balls from the 50s. The kitchen is equipped with professional Stafford Smith & Northwestern Bakery appliances. 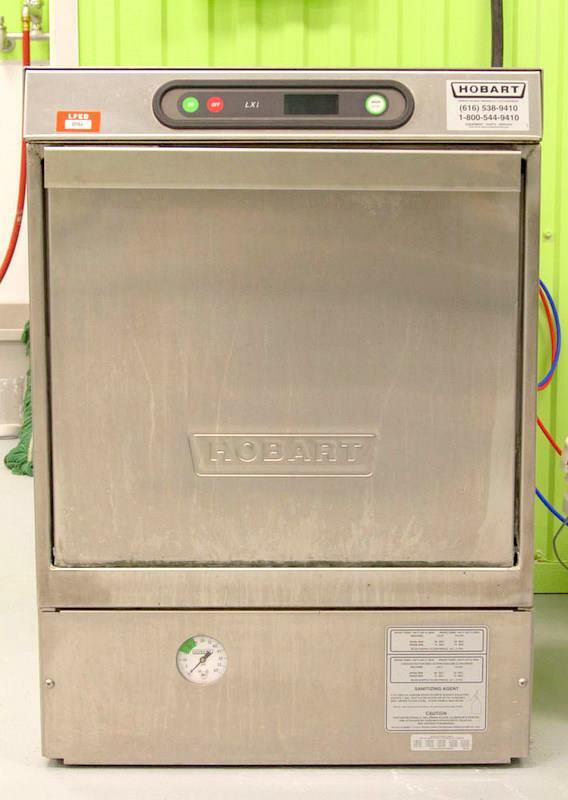 These include two stoves with 11 burners, double stack convection oven, 20 and 30 quart Hobart mixers, large double sink, stainless preparation area and three section refrigerator. Janet said she picked Lowell because it draws people from a 30 to 40 mile radius. “It’s an industrial area,” she said. The industry is represented by wholesalers of food and farm producers. Janet is planning to work with the Lowell Farmers’ Market and to offer Summer Canning 2011 for personal production. She offers help with paperwork for the Kent County Health Department. All food brought into the kitchen must meet health codes, specifically, meat must be USDA inspected. No game meat is allowed. For more information or to reserve a rental go to www.FacilityKitchens.com. 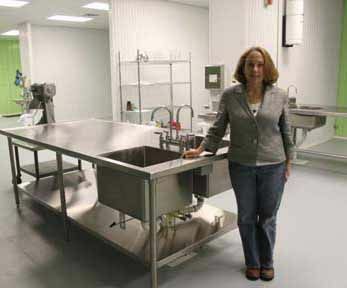 Facility Kitchens is ready to go, for huge savings starting up and running your food business. We supply the kitchens, basic kitchen equipment and utilities. You supply the food. Here you can produce and package to start strong, grow fast and become profitable....faster! Our facility is great for preparing food you want to sell as a mobile vendor. Summer is a great time to get started as a mobile food vendor. Not many of us love doing paperwork, but did you know that at Facility Kitchens, we are able to help you with all your paperwork from the Kent County Health Department and the Michigan Department of Agriculture? Contact us today for more information on this helpful service!